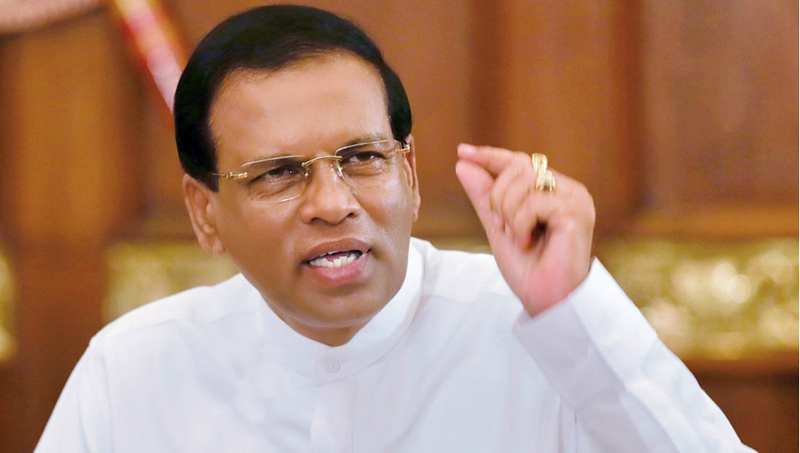 President Maithripala Sirisena said that national policies need to be taken in order to resolve the garbage issue in the country and the Local Government bodies engaged in the disposal of garbage need to be better equipped to carry out a better service. “Everyone would be aware of the measures taken as a government from the time of the Kolonnawa garbage dump collapse to date. As a solution to the Colombo garbage issue has still not been found, we selected the location in Aruwakkalu, Puttalam to set up a project with foreign assistance. In almost every area, the garbage issue is prevalent. When garbage from one area is taken to be dumped in another area, inevitably the residents of that area object to it. The clergy also gives leadership to such garbage protests.This is not new and has been there for many years. Therefore as a government we need to take policy decisions to determine how the garbage issue should be managed. In taking such policy decisions, we sometimes have to overlook the protests of certain segments of people and take firm decisions in the best interest of the country. Even the Kandy, Gohagoda garbage dump is a major issue. Therefore, I see an urgent need for a proper national plan for the management of garbage and to resolve the garbage related issues,” he said. In the case of garbage disposal responsibilities, the President said that it is entirely managed by the local government bodies. However, the biggest challenge they face is the lack of required machinery and equipment, he said, adding that they have no excavators, tractors and other vehicles which has aggravated this issue. Hence, the President said it is required to provide these institutions with the equipment they need as 90% of the LG bodies lack the required machinery to carry out a more efficient garbage disposal process. President Sirisena noted that if proper national policies are not put in place to address this garbage issue it will never be resolved.